Back when Android Wear 2.0 rolled around it introduced Google Assistant to the wrist. Now, Google is upgrading its wrist experience for the newly minted Wear OS by Google, making it smarter and more contextual. There are three big new features being introduced here. The first one is smart suggestions. After you ask Google Assistant a question, Assistant will give you a series of follow-up queries. So if you ask about the weather today, Assistant will give you quick selections for the weather tomorrow and this upcoming weekend. Second, if you're on the go or in the car and can't look at your wrist to find out the answer to your query, Google Assistant can now read back responses to you, just like it can on the phone. It'll either use the smartwatches' speaker or your Bluetooth headphones. You can also ask Google Assistant to tell you about your day and it'll list out all the relevant information such as calendar and commute times. Finally, and perhaps most importantly, Wear OS' Google Assistant is getting access to actions. These already work with the Google Home speakers and let you ask Assistant to get things done for you. So if you want it to preheat the oven, it now can (connected oven required, obviously). Or if you're rushing to the train station and want to double check when the train is departing, you can just ask your wrist. 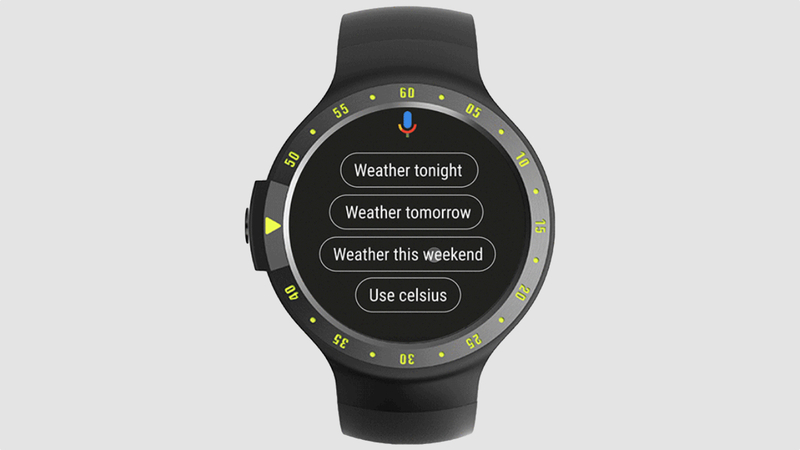 In the world of smartwatches, Google's big advantage is its smarts. We learned that Google was aiming to make Wear OS smarter back when it announced the rebranding, and it's nice it's at least partly happening just before Google I/O. We can only hope these are little breadcrumbs leading us to an eventual Pixel Watch. The new Assistant features will begin rolling out over the course of the next few days, and Google will also be hosting a session on how developers can build actions for Wear OS next week at Google I/O.